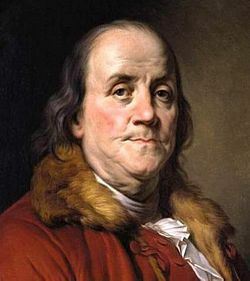 Among his many achievements, Benjamin Franklin was the publisher and editor of The Pennsylvania Gazette, which offered news, opinion, and humor to its readers. The humor includes “The Drinker’s Dictionary” brought out by Franklin in January 1736. The piece begins with a condemnation of drunkenness I don’t take with complete seriousness since Franklin is also famous for saying “Beer is proof God loves us and wants us to be happy”. B. He’s Biggy, Boozy, Bowz’d, Buskey, Buzzey, Bungey. He’s kiss’d black Betty. C. He’s been too free with the Creature. Sir Richard has taken off his Considering Cap. G. He’s Glad, Groatable, Gold-headed, Booz’d the Gage, As Dizzy as a Goose. J. He’s Jolly, Jagg’d, Jambled, Going to Jerusalem, Jocular, Been to Jerico, Juicy. P. He’s as good conditioned as a Puppy. He’s been among the Philippians. He’s contending with Pharaoh. R. He’s Rocky, Raddled, Rich, Religious, Lost His Rudder, Ragged, Rais’d. S. He’s Steady, Stiff, Stew’d, Stubb’d, Soak’d, Soft. W. He’s Wise. He’s Wet.